I loved this book, as did everyone else I've heard from. I actually picked it up because Marla Frazee is an outstanding illustrator. The book is worth the cover price just for the enchanting drawings, but thankfully there's more to Clementine than pretty pictures. Clementine is a spunky third grader, rather like my own, except she's not "the easy one." Her energy and creativity get her into all kinds of scrapes, but she never can understand why. 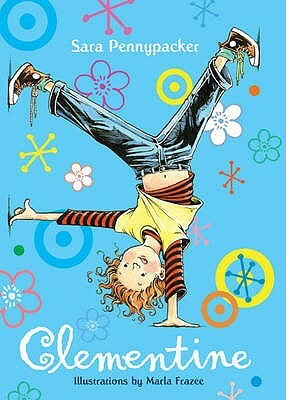 She's Junie B. for older readers, but much more likable. Kids will get a kick from the outrageous hijinx of Clementine and her (sort-of, sometimes) best friend Margaret. This book will teach them they should always be very, very good and perfectly obedient. Okay, fine. It won't. But they may catch a hint from the crazy consequences the heroine finds herself in. Worth every Penny!